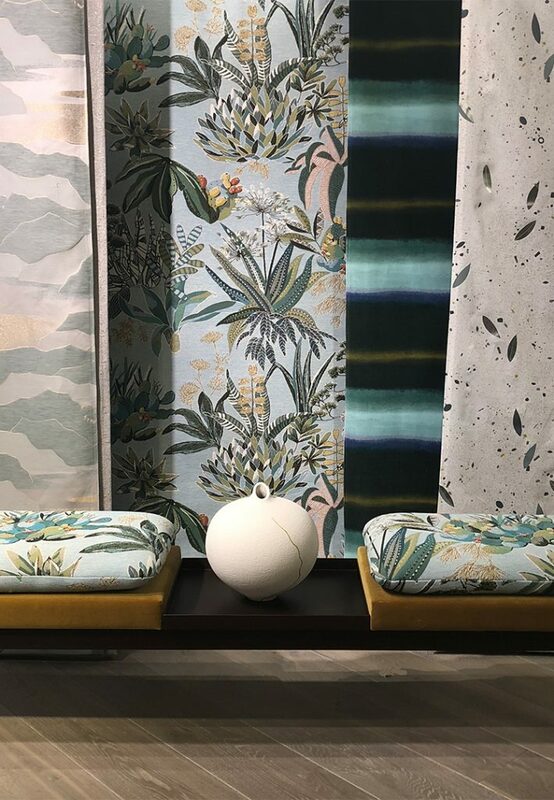 London Design Week 2018 saw the launch of Littlefair London’s collaboration with Lelievre at their showroom in the Design Centre Chelsea Harbour. Stunning fabrics from Lelievre’s latest collection adorned some of our new furniture pieces including the Imperial wingback chair and Eccleston sofa. As you enter the showroom you’re met with one of our favourite designs upholstered on the new Maxwell bench that will make you feel like Spring is well and truly here. By contrast rich paisley prints, geometric shapes and ombre effects work beautifully against each other and the furniture in the centre of the showroom. The collaboration seems like a match made in heaven and certainly not one to be missed!